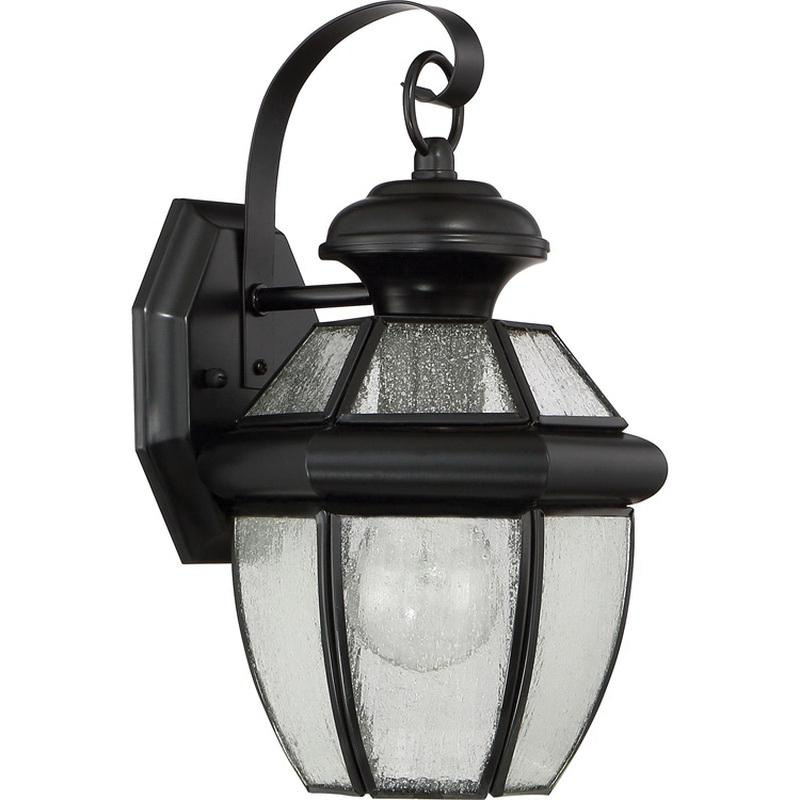 Quoizel Lighting Newbury Collection 1-Light outdoor wall lantern in mystic black finish, features brass construction. A clear beveled glass shade brings elegance to the home. This classic style lantern uses 150-Watt A21 or 40-Watt CFL lamp that has voltage rating of 120-Volts. Wall mountable lantern measures 6-3/4-Inch x 12-Inch x 6-3/4-Inch. It has 6-3/4-inches of extension from the wall and comes with base backplate measuring 4-3/4-Inch x 5-1/2-Inch. It comes with 6-Inch lead wire for hassle-free installation. Lantern is ETL wet listed.